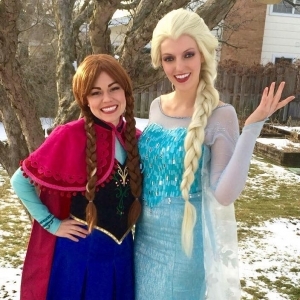 At Storybook Princess Parties, we provide high-quality entertainment for your special event by professionally trained performers with degrees in theatre throughout the Chicagoland area. Our princesses love to sing live at every event they attend! Invite your favorite Storybook character to attend your child's birthday party or other special event and watch them captivate their audience as they tell their story, sing songs, play character-themed games and more! We currently offer the Snow Queen and Snow Princess, Cinderella, Beauty, The Little Mermaid, Rapunzel, Spider Hero and Fancy Girl.